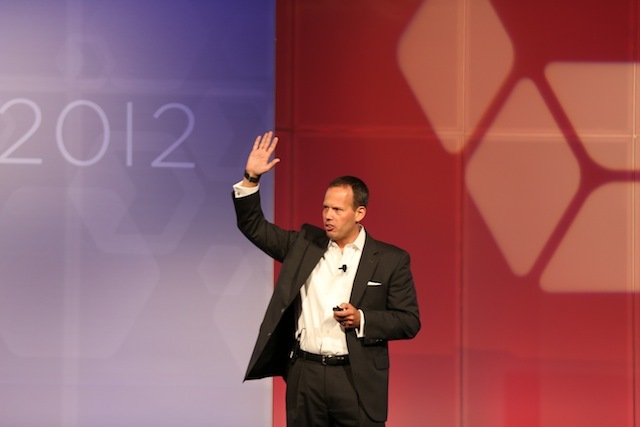 We're blogging live from the PLAY 2012 opening keynote. 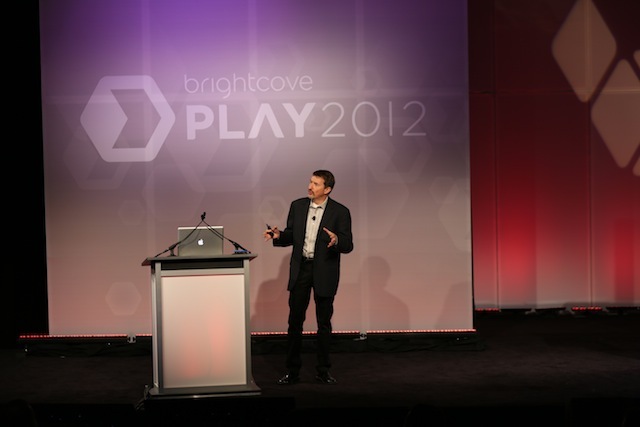 Brightcove President & COO David Mendels welcomed a packed room of attendees before introdcuing Jeremy Allaire. 12:51 - Jeremy is providing an overview of the role of video in the content mix, along with an overview Brightcove's content exchange. 12:53 - Destinations like Facebook are becoming meaningful content distribution platforms. 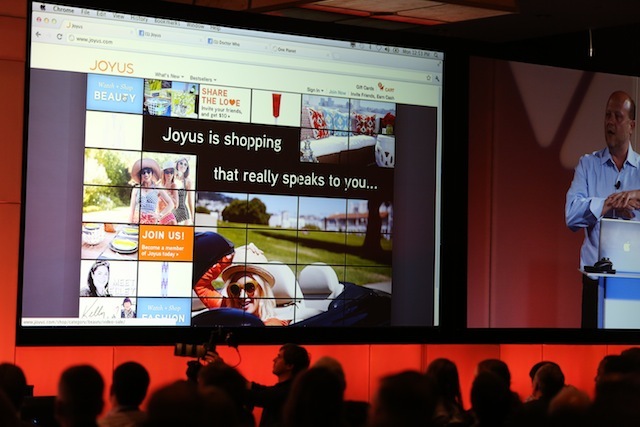 Customer example of Joyus "video commerce" company that uses video to sell fashion products. 1:02 – Cool demo of cross-platform pay media using One Planet iPad app. 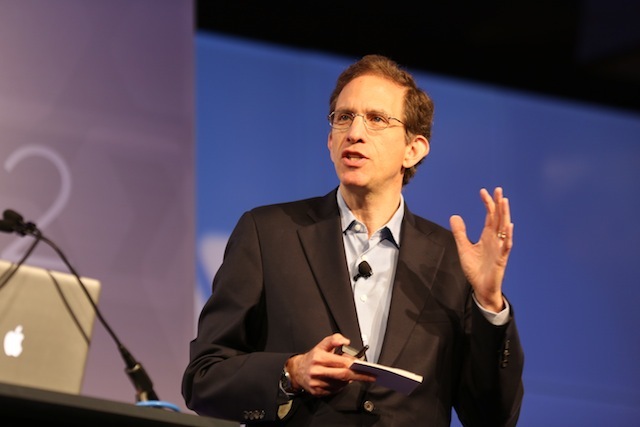 1:07 - Adobe's Jeremy Helfand is discussing the changes in consumer media consumption. 1:17 - Akamai's Paul Sagan takes the. Opens with theme of better video quality drives better engagement. 1:19 - Three trends driving TV over the Internet. More premium content moving online. Convergence of lean-in and lean-back. Worldwide adoption of mobile media. 1:30 – New content drives 50% higher engagement; pre-rolls account for 90% of abandons. Viewers are 5.5X more likely to abandon a video if it takes more than 2 seconds to load. 1:34 – Jeremy Allaire returns to the stage. Content is rapidly appifying. Users are now expecting to get their content through touch-based native apps. Increasingly, this is happening with TV. 1:38 - Xbox and Apple TV are really positioned to shake things up. 1:40 – Demo of an Xbox Live app called Manga, which was built on top of Video Cloud. Delivering video using Apple HLS encryption. Includes ads that are served at the client level. 1:44 - There’s something much, much bigger happening that starts with Apple’s success with iPhone and iPad. They’re giving us the ability to transmit content from our touch devices to the TV screen along with the ability to manipulate it. 1:46 – Demo of an app called solar walk, that lets you use your iPad to navigate the solar system on your TV screen. One example of the power of dual screen apps. 1:48 - Steve Jobs “cracking the code of TV” was that he actually figured out a model to use the TV as a compelling application platform.